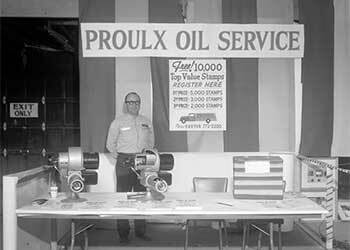 History of Proulx Oil & Propane, Inc.
Proulx Oil & Propane was originally established in 1944 by Joseph A. Proulx in Epping, New Hampshire. The original office was located where the current Epping Burger King has been built. Maurice J. Proulx, Joseph's son, worked in the family business for his father and continued the family heritage in the heating business. He ultimately carried on the Proulx name in the Seacoast area of New Hampshire. In 1985, Maurice established a foothold in Newmarket, New Hampshire. In 1987, he was joined by four of his six sons and one daughter in the same location, still in operation today. 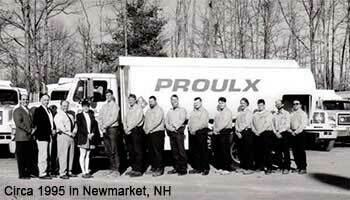 In 1996, due to increased customer demand, Proulx added propane gas and related products to the mix. Today, Proulx Oil & Propane operates three physical locations with numerous local call forwarded telephone exchanges for the convenience of our customers. With over forty-five full and part-time employees and the most modern fleet of any company in the area, the Proulx name continues to be synonymous with the heating industry as it has for the past 74 years. Through acquisitions and growth our mission has remained clear and the same: Proulx Oil & Propane is committed to growing our business through an expanding base of satisfied customers. We are so confident that you too will be a satisfied customer, that we tell all of our customers, if you are ever NOT satisfied, call us at home, our phone numbers are listed in the local phone books! Because of his life, our lives were improved. Because of his risk, we enjoyed security.